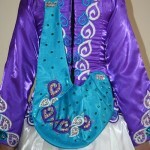 This dress has a beautiful purple satin bodice with white and turquoise embroidery. 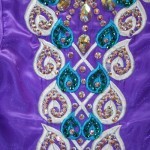 Skirt is soft white satin with purple and turquoise layered underskirt. 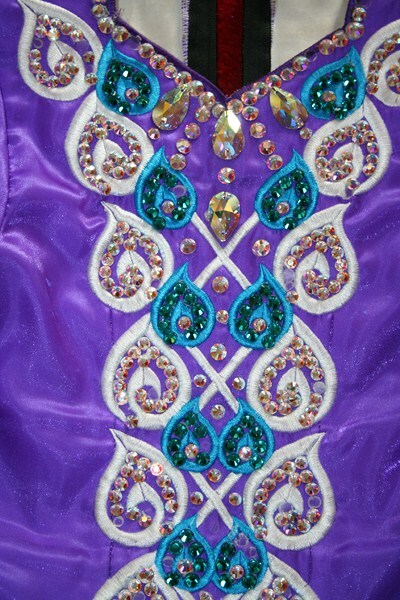 Dress is covered in hundreds of AB swarovski cyrstals and blue zircon crystals. 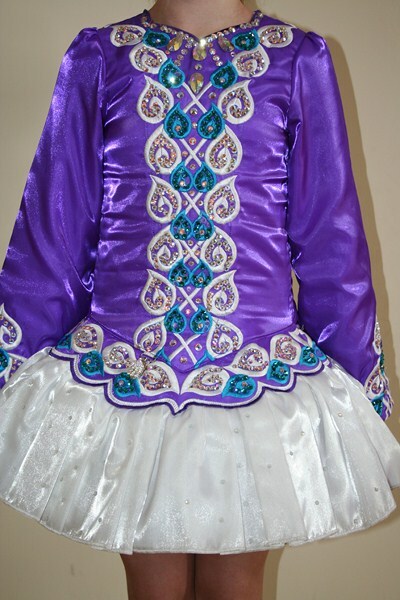 This dress is in immaculate condition and has a stunning stage presence. 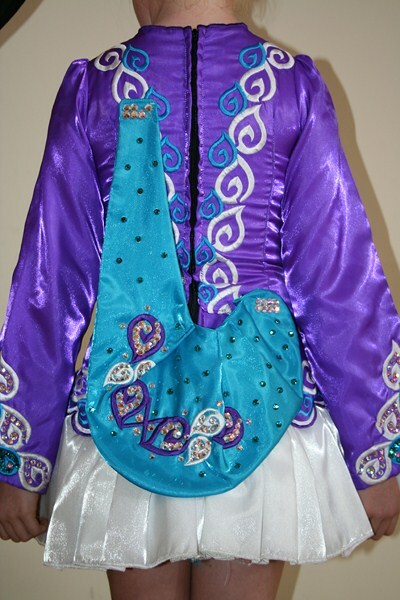 Asking Price: £700 o.n.o. Shipping costs are included for my own country, overseas shipping is extra. Sale is final.